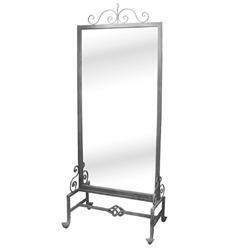 Mirror dimensions 24"W x 60"H.
Overall dimensions 24"W x 84"H.
This item will be shipped common carrier. Additional freight charges will apply. You will be contacted after order is complete to approve freight amount or click here to receive freight quote before placing your order.